A sleek, all-in-one blade exit best suited to customer-facing business areas. Dual emergency luminaire for additional lighting and complete with flex and plug. This 3W LED recessed blade exit light will keep the aesthetics of your business space looking professional. Boasting a white polycarbonate body and green acrylic diffuser, streamlined dimensions and an out-of-the-box pictogram decal, the best applications for EXBLADE are customer-facing areas that rely on visual appeal – think commercial office areas, hotels, apartments and shopping centres. 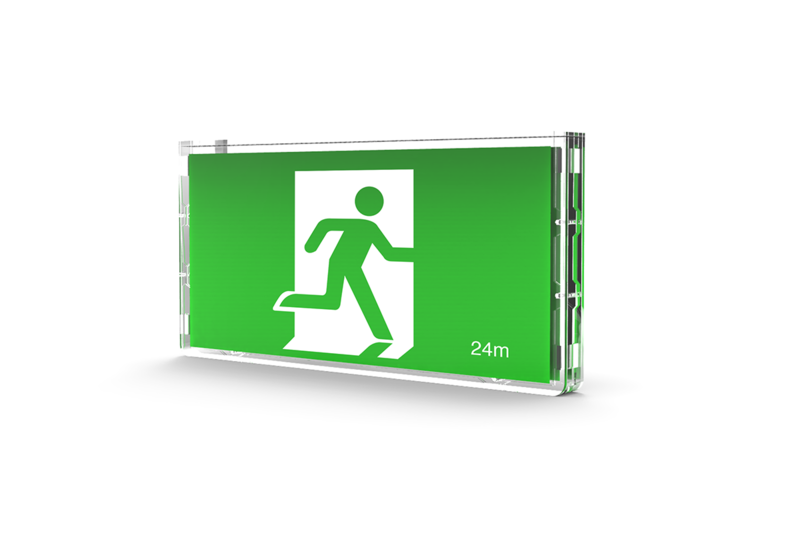 Of course, EXBLADE is packed with other valuable features that make it an all-rounder, and an altogether great addition to your emergency exit lighting mix.